Representatives from Canadian American Transport (C.A.T. 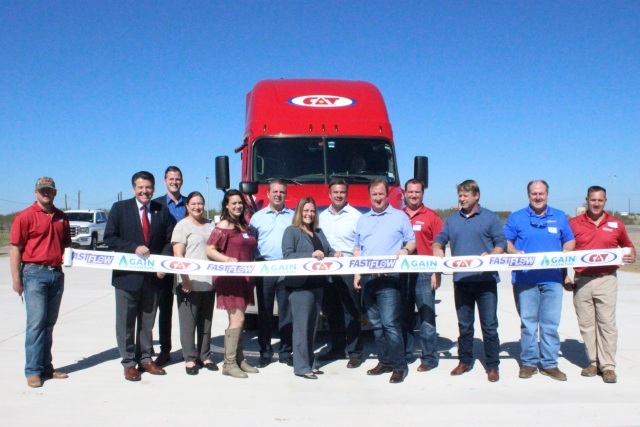 ), U.S. Gain and Independence Fuel Systems (IFS), along with local and regional dignitaries, celebrated the grand opening of the newest GAIN Clean Fuel® and FastFlow CNG station in Laredo, Texas. The station will provide the North American carrier with alternative fuel to support C.A.T.’s growing fleet of CNG trucks. Nearly a third of C.A.T.’s fleet of 350 tractors have been converted to CNG. The Laredo location, like all other GAIN Clean Fuel and FastFlow stations, will provide easy access and fast-fill capabilities, and it will be open for use by other fleets and the general public. “GAIN Clean Fuel is helping fleets and operations throughout the U.S. and Canada make the conversation to CNG,” said GAIN Clean Fuel General Manager Bill Renz.